Founded by Laine and Vajra Foreman in 2015, Foreman Brothers Design is a creative collaboration between brothers located in Los Angeles, specializing in metal work and furniture design. Foreman Brothers furniture is created with careful attention to detail, aesthetic and sustainability. Their designs purposely abstain from excess, and instead focus on craftsmanship and the enduring beauty and function of each piece. Originally from Chicago, Illinois, both Laine and Vajra Foreman have considerable backgrounds in design and fabrication. 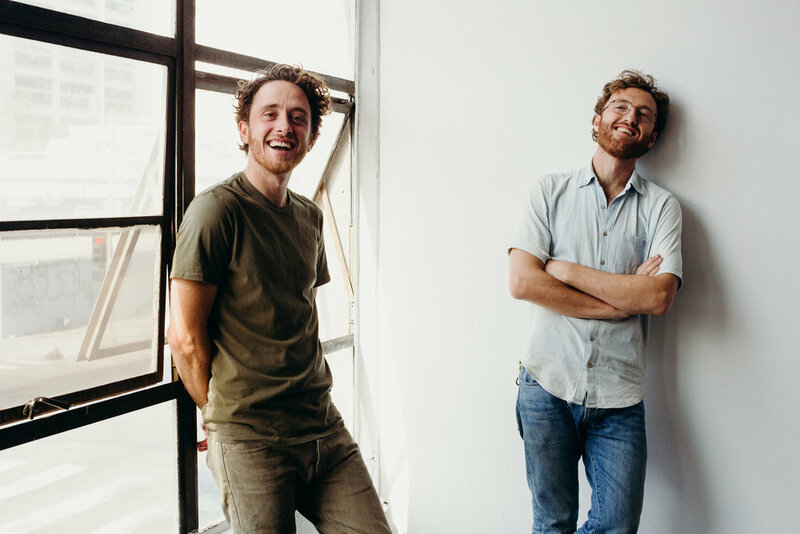 After several years of solo travel and work, the brothers moved to Los Angeles to launch their metalwork and furniture design partnership. Laine has extensive experience in welding, metal forming, and design. After studying blacksmithing at Southern Illinois University, he worked as Head Foreman with New Metal Crafts in Chicago before apprenticing at Goldschmidt Knives in Italy to learn the art of making Damascus steel and blade smithing. Laine’s interdisciplinary skills and distinct aesthetic are apparent in his furniture designs, which are always extra ordinary unions of function and art. Vajra Foreman has always been fascinated by functional design and fabrication processes and as a result, has pursued experiences in numerous trades and industries. He has studied and worked in various trades including agriculture, bicycle fabrication and metalworking. Now in collaboration with Laine, he has focused his attention on metal and furniture design to which he brings a singular aesthetic perspective, philosophy and mechanical knowledge.